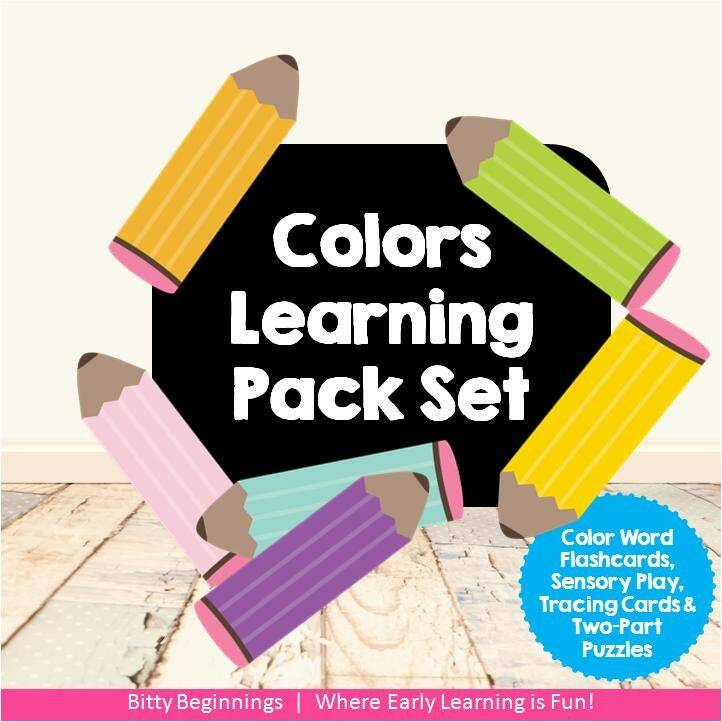 Explore colors with your little one(s) while introducing or reinforcing colors and their names with our "Colors Learning Pack." This set is perfect for siblings and family style learning with littles. Introducing colors is perfect for language development with the littlest of learners by way of two-part puzzles, color flashcards, and a sensory look & find, while your older little one(s) will enjoy practicing color words with tracing cards and teaching younger siblings alongside mom!